Set Of 8 Teenage Mutant Ninja Turtles Minifigures Only $9.67 + FREE Shipping! 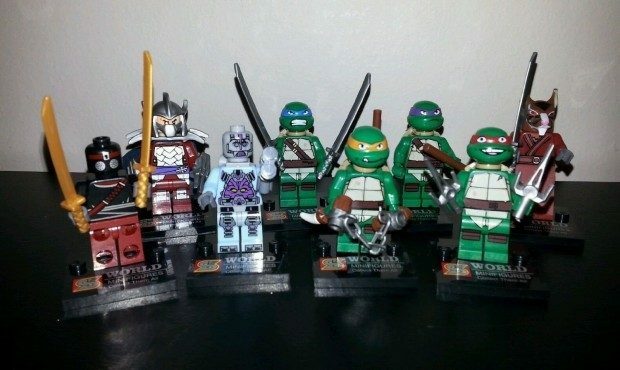 You are here: Home / Great Deals / Amazon Deals / Set Of 8 Teenage Mutant Ninja Turtles Minifigures Only $9.67 + FREE Shipping! If you have Teenage Mutant Ninja Turtles fans in your home, you’re going to want to grab this awesome deal – get this set of 8 Teenage Mutant Ninja Turtles Minifigures for just $9.67 + FREE shipping! That’s just $1.20 per figure!